The miniclick photography talks present Maciej Dakowicz in discussion with Peter Dench to coincide with the launch of Maciej’s first book from Thames and Hudson, “Cardiff After Dark” and as part of the Brighton Photo Fringe. Tuesday October 16th, 7pm. The Old Market, Brighton and Hove. Free Entry. Maciej Dakowicz is a Polish photographer and gallerist living in London, UK. 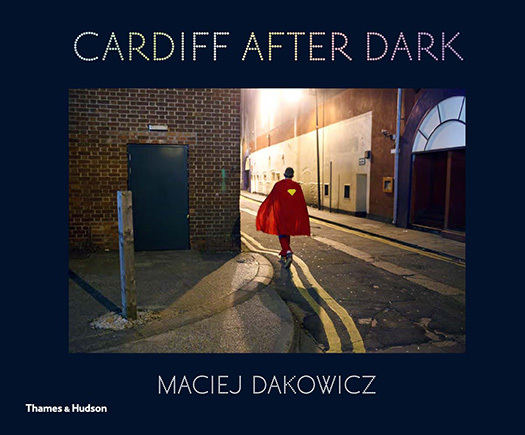 In addition to his work with Cardiff’s Third Floor Gallery, Maciej has spent time documenting the nightlife in the Welsh city, culminating in the release of his first book, “Cardiff After Dark”, published by Thames & Hudson. To coincide with this, Maciej will be discussing his work with highly acclaimed photojournalist, Peter Dench of Getty Reportage. In November last year, Peter came to Brighton to present his work for the miniclick photography talks in one of the most popular evenings of the talk’s two year run so far. Copies of the book will be for sale, with time for Maciej to sign copies afterward. If you have a copy of Peter Dench’s book, “England Uncensored”, he’s happy to sign copies of that as well!